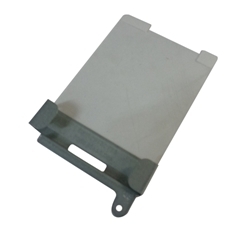 Description: New genuine Acer laptop hard drive bracket. This hdd bracket only works with select models and the screws are not included. Compatible Part #'s: 33.MVAN1.002, 433.04X05.0001, 460.04X0E.0001. Acer Aspire E5-722, E5-722G, E5-772, E5-772G.